The shop online experience with Spahn & Rose is one of a kind. 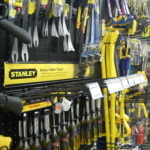 With over 67,000 different retail hardware items, you are bound to find the product that you need to get the job done. No matter how big or small the project is, we will have the right products for you. The items that you do want to purchase will be shipped free to your local Spahn & Rose! If you choose to ship directly to your home, current shipping rates will be applied. Are you looking for building materials as well? Our retail locations have so much more! We service Contractors, Homeowners and Do-It-Yourselfers. Any project you need done, whether it is a pole building or a small shed, we will be able to help. So stop in today to check out everything that we have to offer. Spahn & Rose is your one stop shop for everything home!